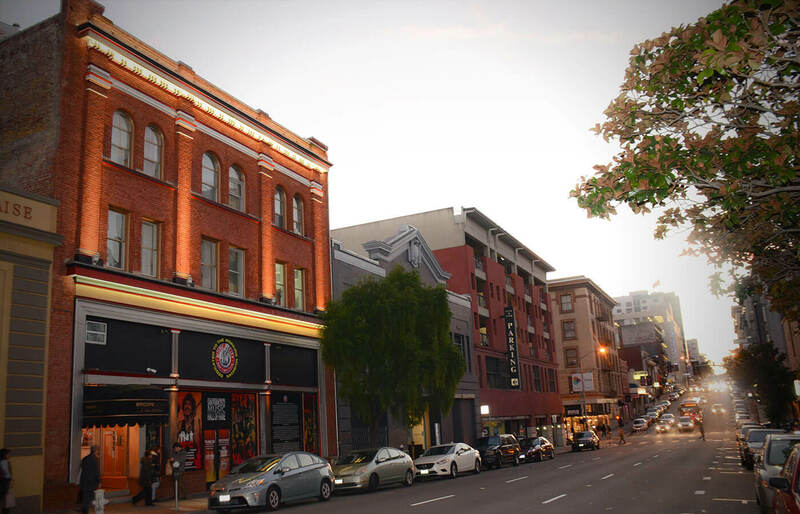 Music City Hotel is an immersive music experience where guests have access to fully equipped rehearsal studios, free live music, and a curated gallery of over a hundred images of San Francisco’s most cherished artists. 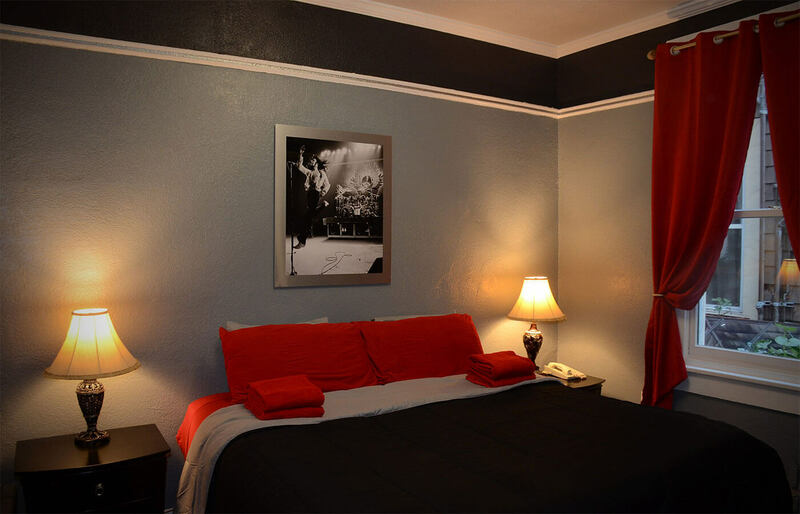 Your booking helps support local music! 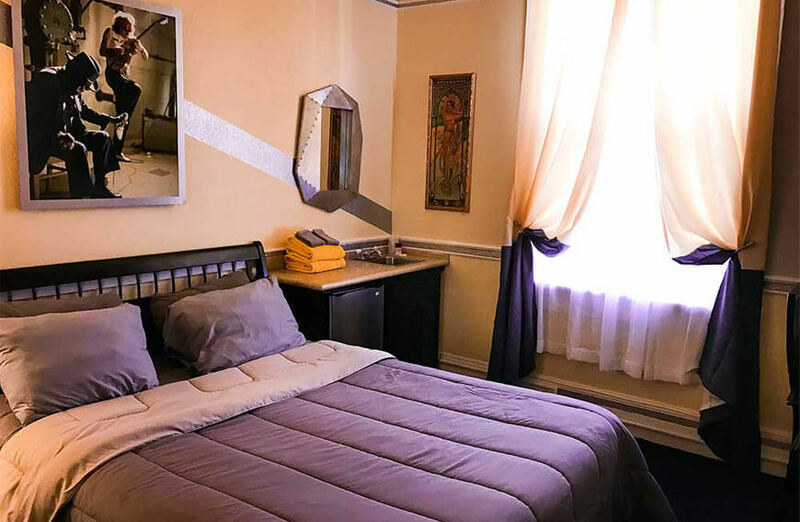 Explore our Hotel rooms that feature queen beds, sink/fridge, musical connection, free wifi, and flat screen TV. 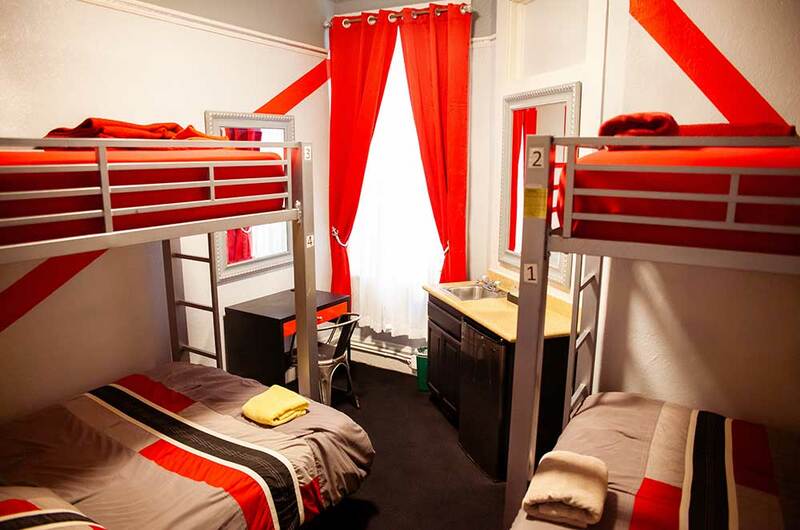 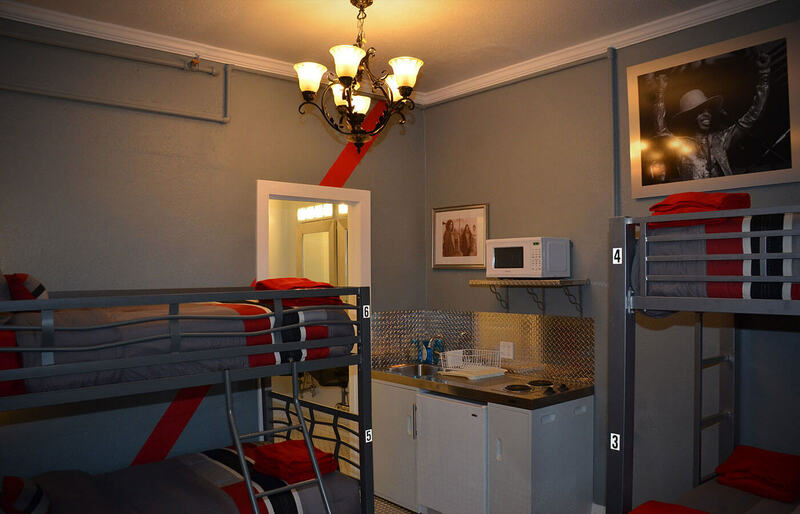 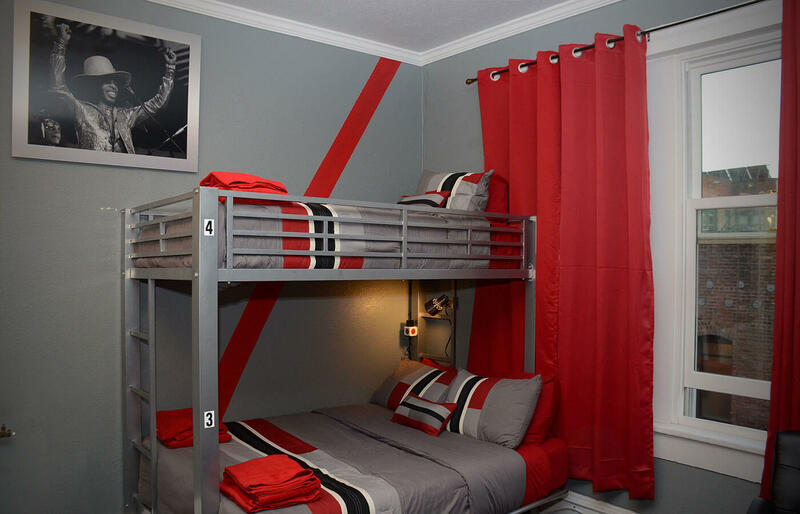 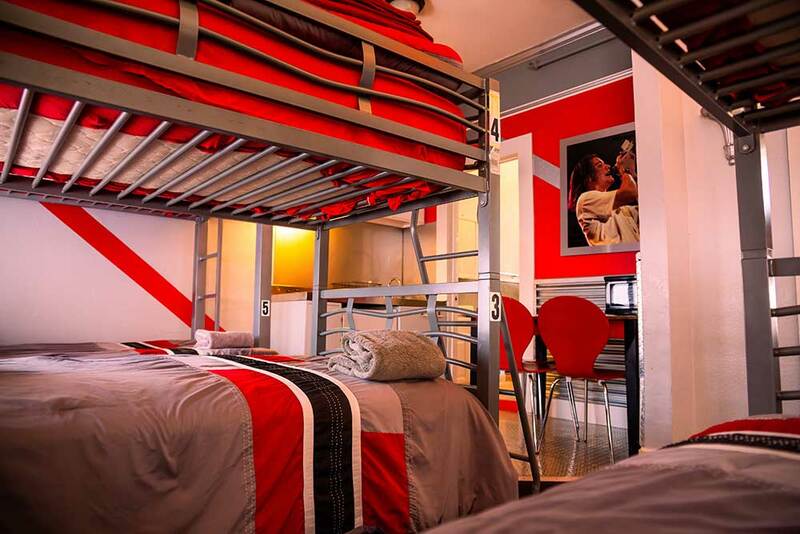 Or check out our hostel rooms that feature cozy bunk beds, comfy bedding, friendly shared accommodations, daily housekeeping, and more. 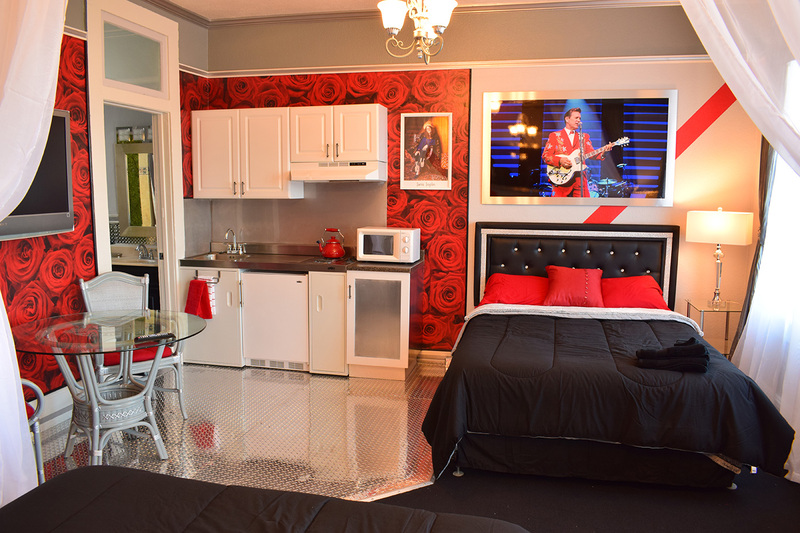 Welcome to the Music City Experience! 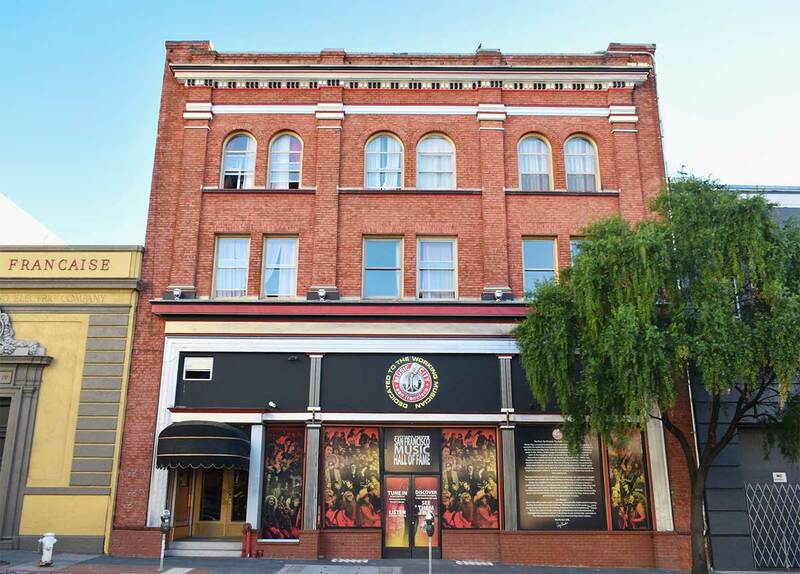 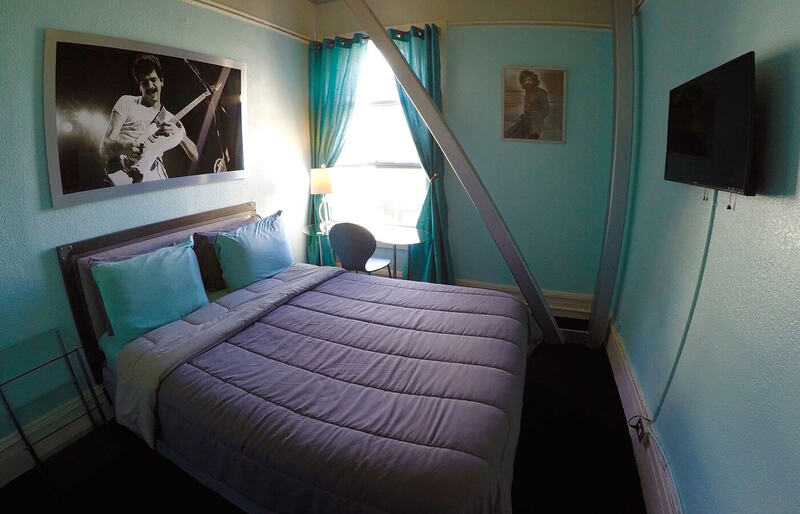 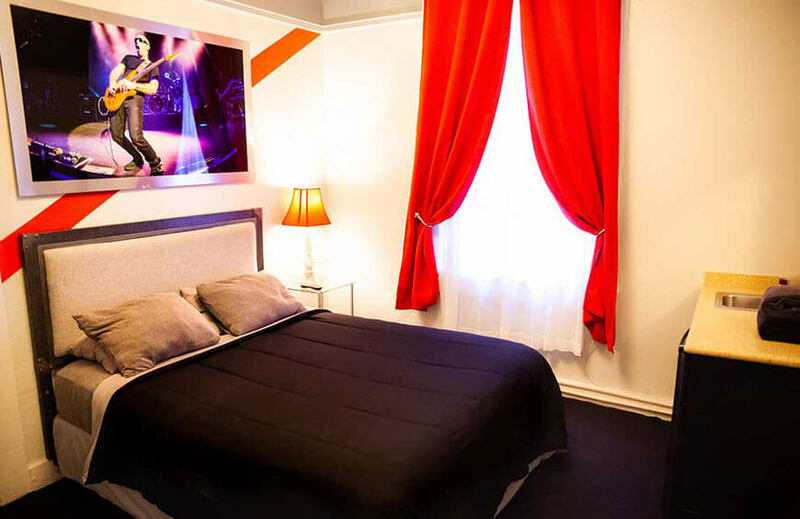 Music City Hotel offers the best combination of service, location, and cleanliness for affordable hotel and hostel accommodations in San Francisco. 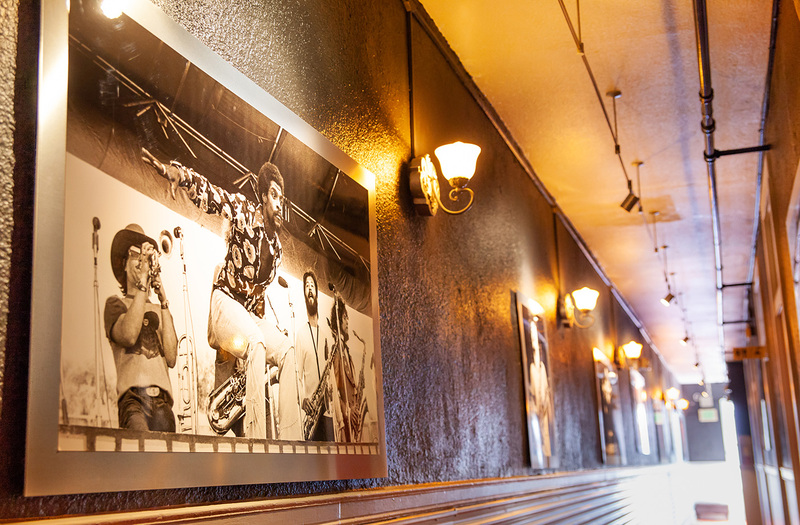 You’ll be energized by the past, present and future of music during your stay at Music City Hotel – a tribute to the robust musical history of the Bay Area, and dedicated towards nurturing its present and future. 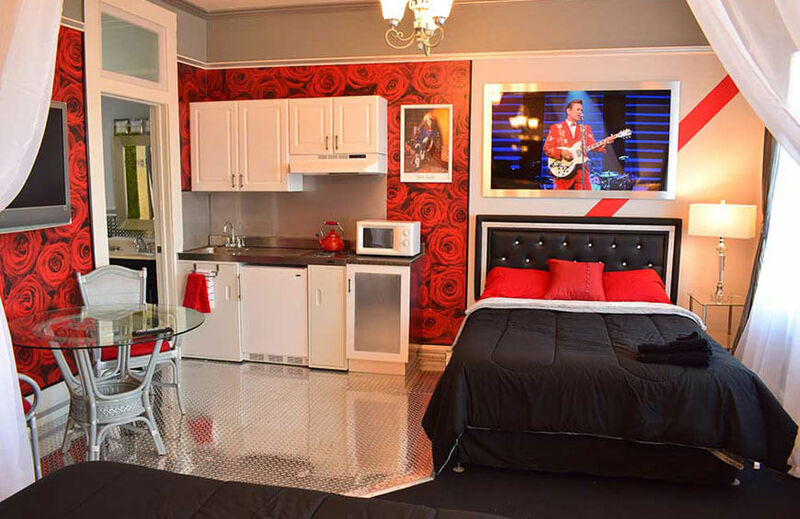 Located in the vibrant Polk Gulch neighborhood, dozens of varied and excellent food, beverage, and entertainment options are within steps of Music City Hotel. 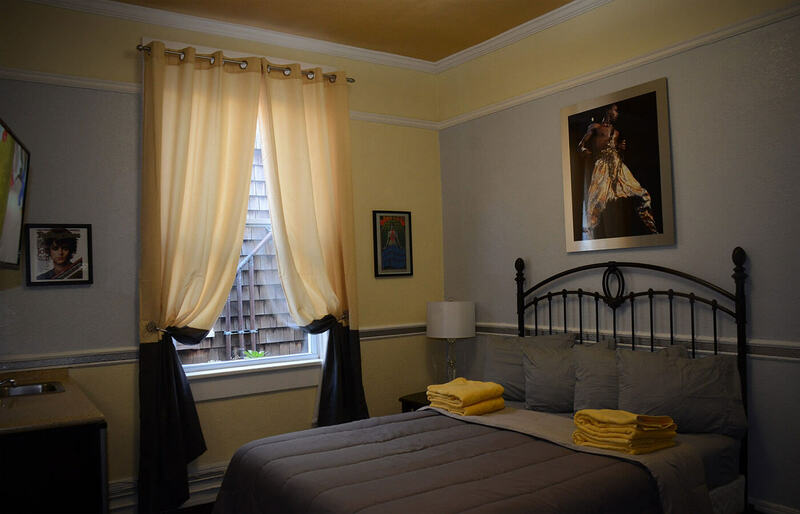 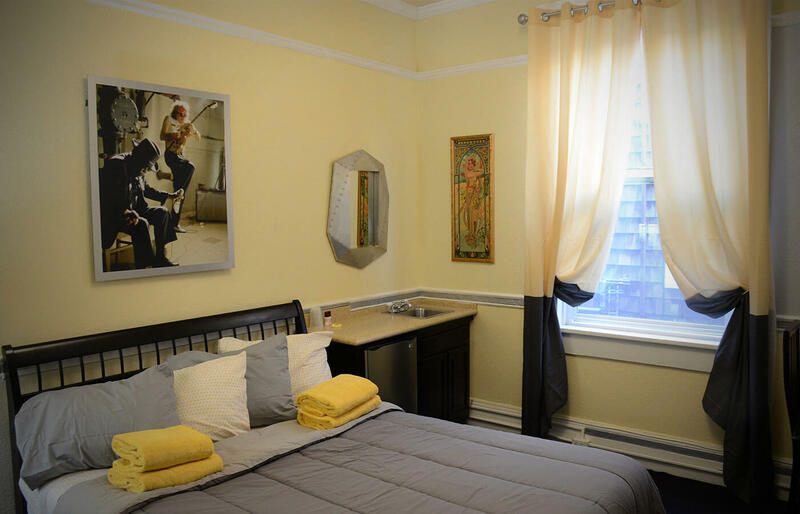 Attractions such as Chinatown, Union Square, North Beach, Fisherman’s Wharf, Golden Gate Bridge, Haight Ashbury, and the Mission District are all located either within walking distance or a short bus ride away thanks to our convenient and central location. 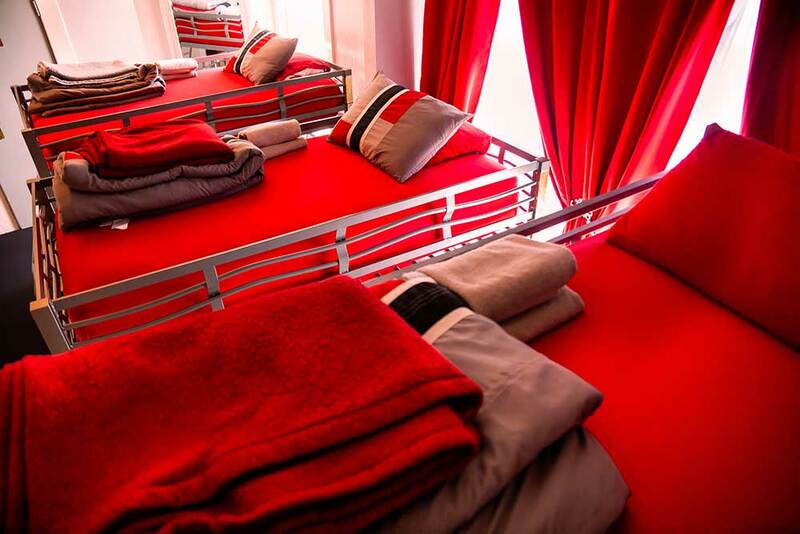 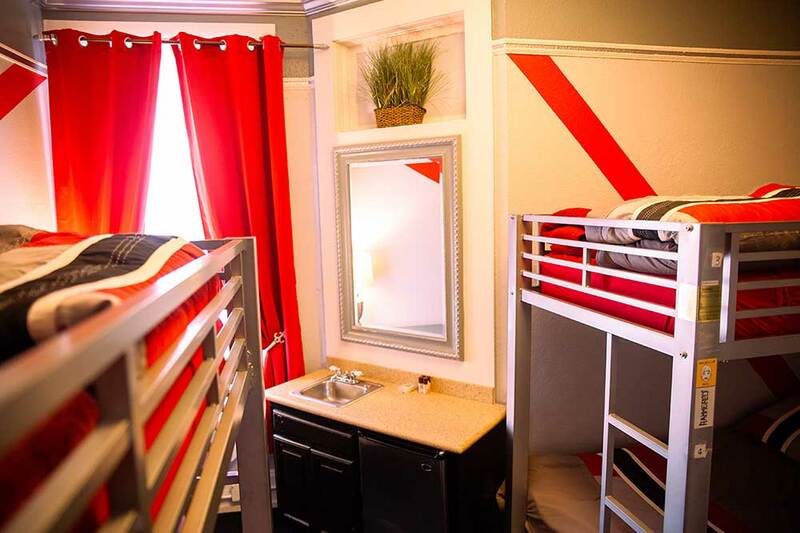 Room options include 4-person and 6-person dormitories, private rooms with shared restrooms, junior suites with a kitchen and bathroom, and more – enough variety to fulfill any style of travel and budgetary need. 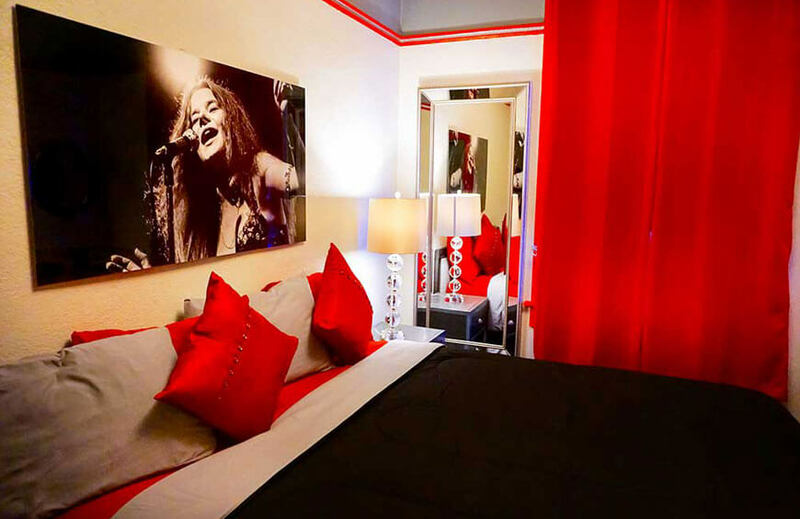 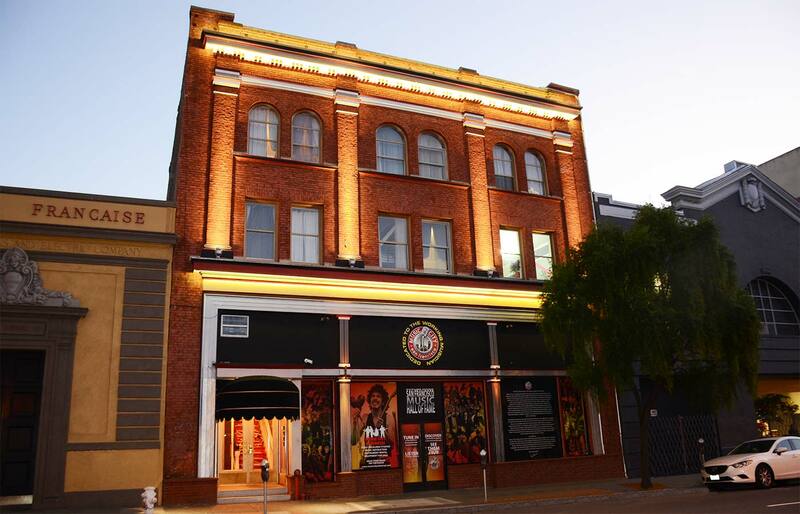 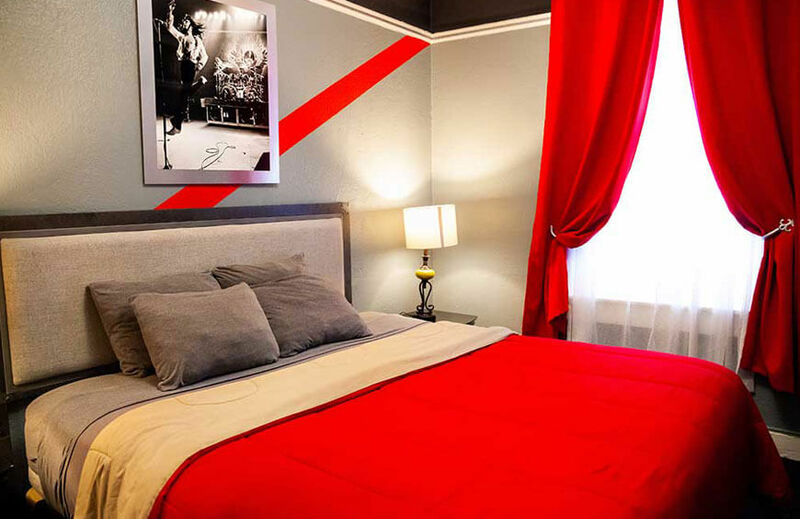 Immerse yourself in our stylishly decorated rooms while staying connected at the crossroads of the city’s present day music scene, along with its storied past. 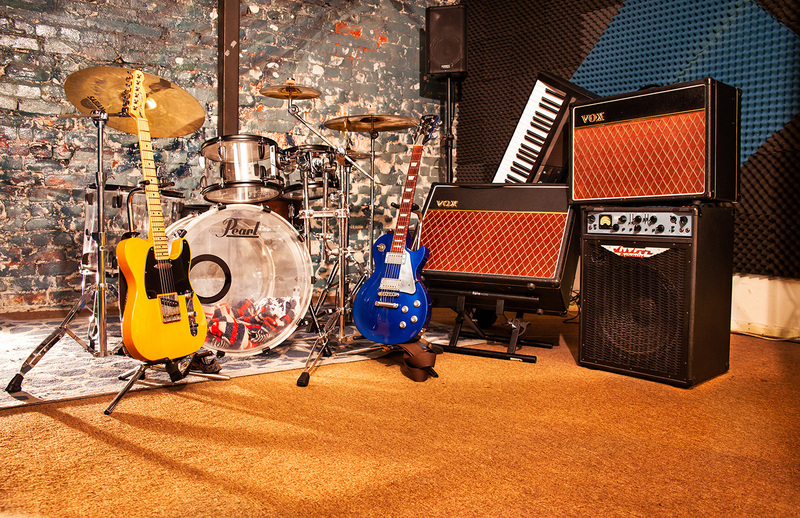 At Music City Hotel you can jam for free! 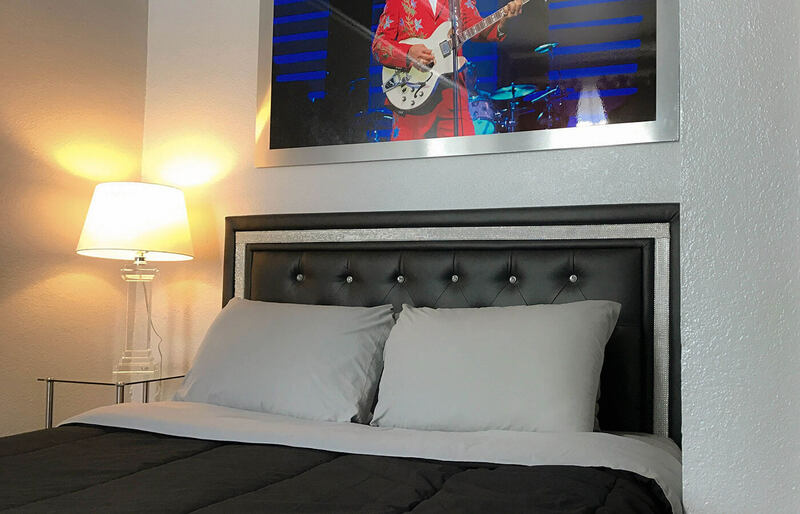 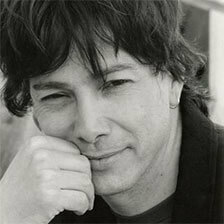 Music City Hotel is owned by Rudy Colombini – a native San Franciscan and musician with a deep love of music and the city that inspired him. 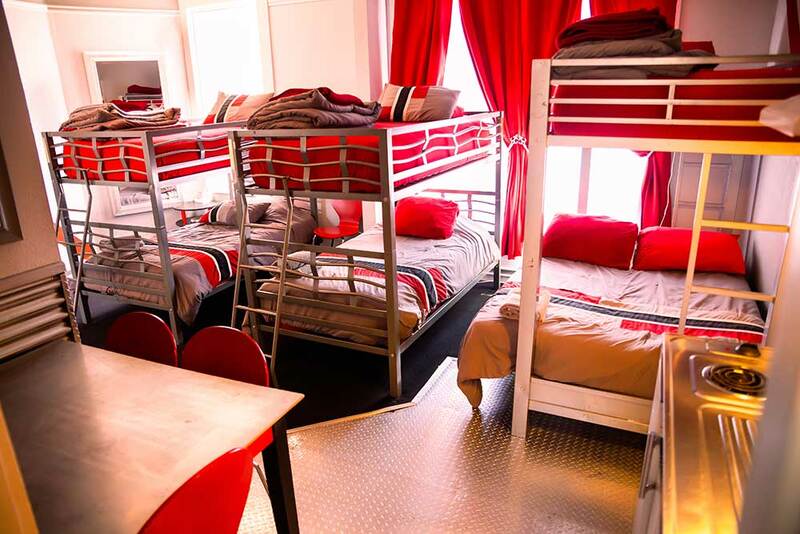 Rudy built this unique network of services to realize his dream of creating a space for anyone to learn and perform.